Come visit us at the OEC! We look forward to helping make businesses' hopes and dreams come true as we create jobs for the Oxford, Lafayette, and University communities. Please contact Holly Kelly for more information or to schedule a visit to the Oxford Enterprise Center. *Technology Development Business : A company that develops technology-based products or services intended for sale in interstate commerce. The products or services should be scalable. *Interim Policy effective as of April 3, 2015: General business are that are considered to be in the start up/early development/expansion phase will be considered for a twelve to twenty-four month lease and will be reviewed on a twelve month basis. All businesses must be actively addressing at least a regional or preferably national market. All applicants must submit a written business plan (on-site assistance is available). 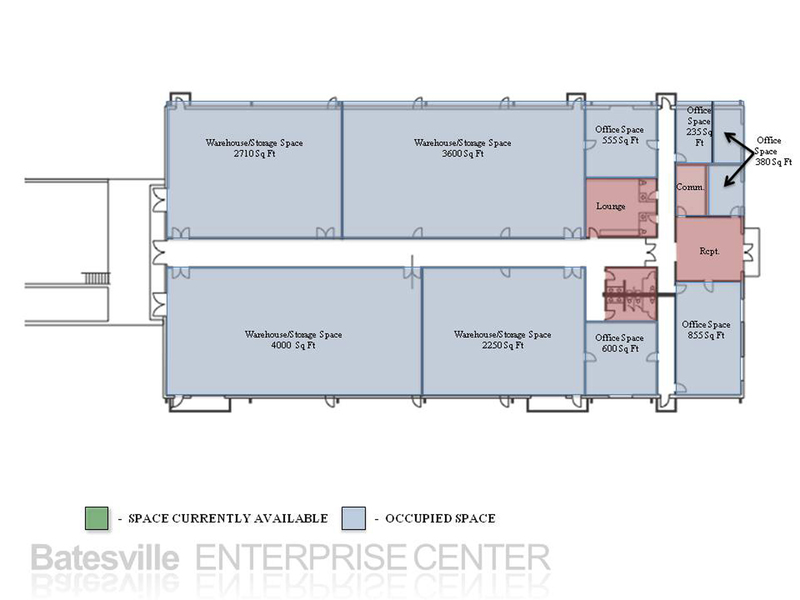 Offices designated for these businesses are 200-6000 sq ft and based on availability. EXCLUSIONS: Retail (see SICCODE.COM for definition of retail), cleaning services, real estate agents/brokers, commercial kitchen/restaurants. The BEC is Panola County's small business incubator located in the Harmon Industrial Park at 275 Nosef Drive, Batesville, MS 38606, just east of the LSP Energy power plant. There is easy access to the BEC from Brewer Road. The BEC is 20,000 square feet and consist of individual office and warehouse/storage space. The offices range from 400 to 1000 square feet, and the warehouse space has been divided into bays ranging from 2250 square feet to 4250 square feet. 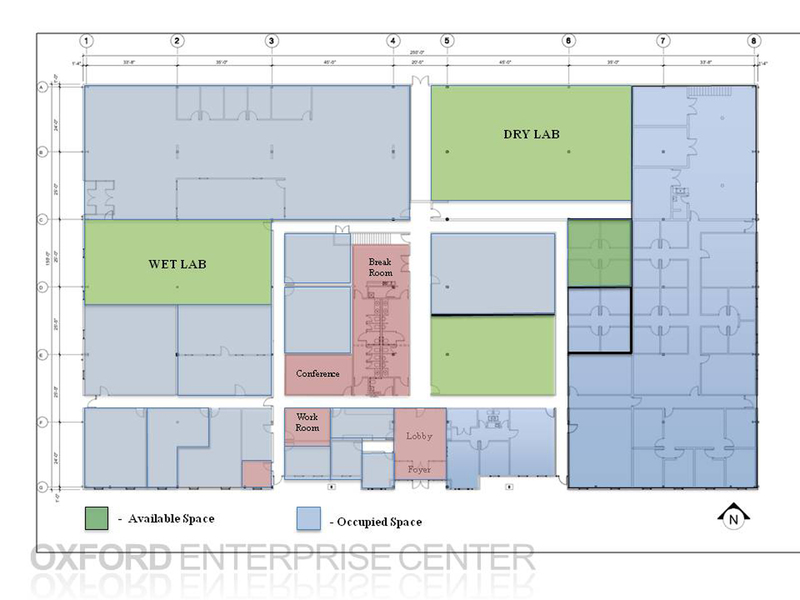 These spaces are perfect for manufacturing, storage, distribution, etc., and are fully wired for all networking and internet usage. Our current tenants include: Hogan Trucking, North West Community College- which holds computer training classes in our facility, and Shockwarehouse.com. Graduates of the Batesville Enterprise Center include Blueswood, Express Tool and Die, and Penske Trucking. We are eager to help start-up companies as well as expansion projects in order to create jobs for Panola County. Please contact Holly Kelly for more information or to schedule a visit to the Batesville Enterprise Center. The Grenada Enterprise Center (GEC) is Grenada County's small business incubator located 1.5 miles from I-55 (Exit 208) at 2063 Papermill Rd., Grenada, MS 38901. Its location in the Air Industrial Park as well as its proximity to I-55 makes it very accessible. The GEC building is 20,000 square feet, and consist of individual office and warehouse/storage space. The offices range from 300 to 600 square feet and are all fully wired for phones and internet. The warehouse space is 13,000 square feet and can easily be divided into bays of 1350 square feet to accommodate several occupants simultaneously. Our current tenant is GL Assemblies. Graduates of the Grenada Enterprise Center include Adams Law Office (Jennifer Adams), Flexicorps, and Staffing Network. We are eager to help start-up companies as well as expansion projects in order to create jobs for local residents. Please contact Holly Kelly for more information or to schedule a visit to the Grenada Enterprise Center.